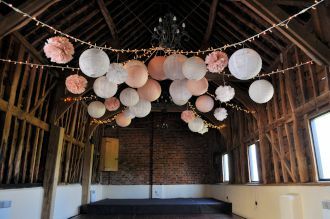 The warm white, dimmable fairy lights were suspended from a high point in the midde of the barn with individual strands sweeping out to the walls, creating a star-shaped canopy with a high centre to leave space for lanterns to be added to the lights. The colour scheme was dusky pink and white so we used a combination of dusky pink paper lanterns, white paper and lace lanterns plus white and dusky pink pom poms for added texture. 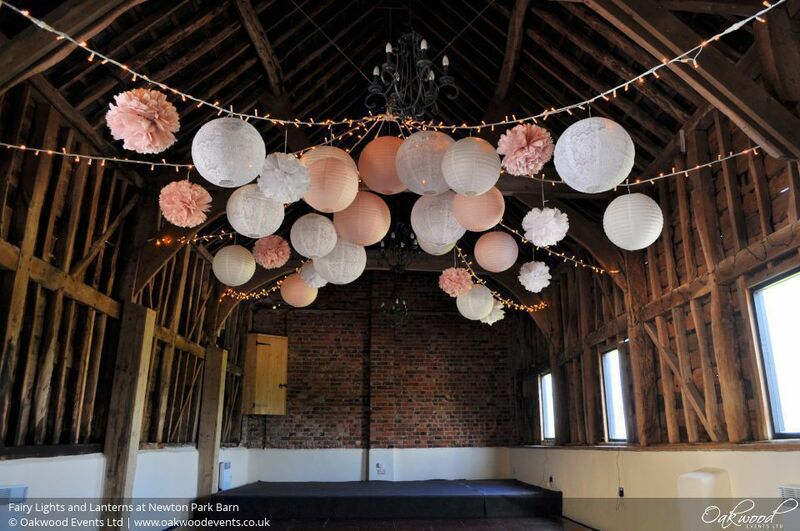 The finished result looked fantastic and suited the barn really well! Contact us here to discuss lighting ideas for your wedding.